A defunct satellite entered the Earth’s atmosphere over the Pacific Ocean at 12:00 a.m. EDT on Saturday, September 24, NASA said Tuesday in a statement. The Joint Space Operations Center at Vandenberg Air Force Base in California determined NASA’s decommissioned Upper Atmosphere Research Satellite (UARS) entered the atmosphere at 14.1 degrees south latitude and 189.8 degrees east longitude over the Pacific Ocean. 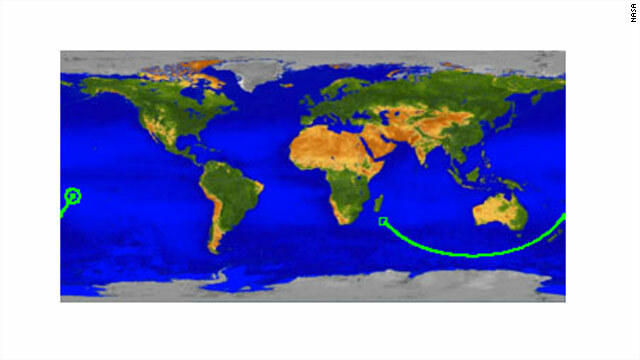 "This location is over a broad, remote ocean area in the Southern Hemisphere, far from any major land mass. The debris field is located between 300 miles and 800 miles downrange, or generally northeast of the re-entry point," NASA said Tuesday in an update. NASA is not aware of any possible debris sightings from the area. NASA said that UARS broke into pieces during re-entry, and most of it burned up in the atmosphere. Twenty-six pieces of UARS, weighing a total of about 1,200 pounds, could have survived re-entry to reach the surface of Earth. UARS was originally launched in 1991 and was decommissioned in 2005 after completing its mission. The satellite measured chemical compounds found in the ozone layer, wind and temperature in the stratosphere, and the energy input from the sun, according to NASA.